CLEAN CARFAX!!! ONE OWNER!!! ALL WHEEL DRIVE!!! W222 AMG SEDAN 4dr SPEEDSHIFT MCT 7sp 5.5TT !!! 8 CILINDER PETROL TWIN TURBO INTERCOOLED 5.5L ENGINE!!! PREMIUM LEATHER INTERIOR!!! HEAD UP DISPLAY!!! DISTRONIC PLUS CRUISE CONTROL!!!! NIGHT VISION!!! NAVIGATION!!! BACK UP CAMERA!!! PANORAMIC ROOF!!! AMG SPORT ALLOY WHEELS!!! TOP VIEW CAMERA!!! BURMESTER PREMIUM SOUND SYSTEM!!! PUSH START BUTTON!!! HEATED AND COOLED POWER SEATS!!! MASSAGE SEATS!!!! REAR AND SIDE SHADES!!! BLUETOOTH!!! MEMORY CARD/ MP3/ WMA READER!!! 2 ZONE CLIMATE CONTROL!!! LED HEADLIGHTS!!! FOG LAMPS!!! BEST PRICE ON THE MARKET!! NO NEED FOR PERFECT CREDIT!! FREE CARFAX!!! 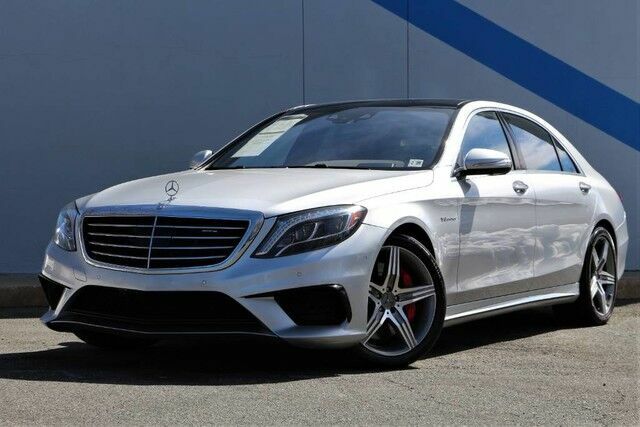 THIS 2015 Mercedes-Benz S-Class IS PRICED FOR A QUICK SALE!!! ALL THE RIGHT OPTIONS!!! IT HAS A GREAT LOOKING EXTERIOR! PLEASE CALL US TO CONFIRM THE AVAILABILITY AND SCHEDULE AN APPOINTMENT WE ARE LOCATED MINUTES FROM NEW YORK, AS WELL AS NORTH AND SOUTH JERSEY. $NOTHING DOWN FINANCING AVAILABLE *** CHOOSE FROM OVER 200 FRONT LINE READY VEHICLES ***INSTANT FINANCING*** TOP RATED NJ USED CAR DEALER!!! EASY APPROVAL, LOW PAYMENT WITH WWW.AUTOHOLDING.US -Contact us at 908-686-0100 or autoholding@gmail.com for a FREE Carfax Report. All advertised prices exclude government fees and taxes, any finance charges, any dealer document preparation charge, and any emission testing charge. The price for listed vehicles as equipped does not include charges such as: License, Title, Registration Fees, State or Local Taxes, Smog Fees, Credit Investigation, Auto Holding Vehicle Certification, Optional Credit Insurance, Optional Maintenance Packages, Physical Damage of Liability Insurance, or Delivery Fees. Auto Holding makes no representations, expressed or implied, to any actual or prospective purchaser or owner of this vehicle as to the existence, ownership, accuracy, description or condition of the listed vehicle's equipment, accessories, price, specials or any warranties. Any and all vehicles that qualify and/or are sold under our 14 day return policy, are subject to a 20% restocking fee from the purchase price. Any and all differences must be addressed prior to the sale of this vehicle. Auto Holding is not responsible for typos and exact options list as it is automatically decoded from the VIN number. Dealer will not be liable for any inaccuracies, claims or losses of any nature. Nappa Leather Upholstery -inc: MB-Tex covered dash top and door panels w/top stitching unique AMG seat design AMG badge in seat backrests Limited Availability. All advertised prices exclude government fees and taxes, any finance charges, any dealer document preparation charge, and any emission testing charge. The price for listed vehicles as equipped does not include charges such as: License, Title, Registration Fees, State or Local Taxes, Smog Fees, Credit Investigation, Autoholding Vehicle Certification Fee, Optional Credit Insurance, Physical Damage of Liability Insurance, or Delivery Fees. Auto Holding makes no representations, expressed or implied, to any actual or prospective purchaser or owner of this vehicle as to the existence, ownership, accuracy, description or condition of the listed vehicle's equipment, accessories, price, specials or any warranties. Any and all vehicles that qualify and/or are sold under our 14 day return policy, are subject to a 20% restocking fee from the purchase price. Any and all differences must be addressed prior to the sale of this vehicle. Auto Holding is not responsible for typos and exact options list as it is automatically decoded from the VIN number. Dealer will not be liable for any inaccuracies, claims or losses of any nature. To request a free Carfax report for any vehicle please contact Autoholding at (908) 686-0100 or autoholding@gmail.com.